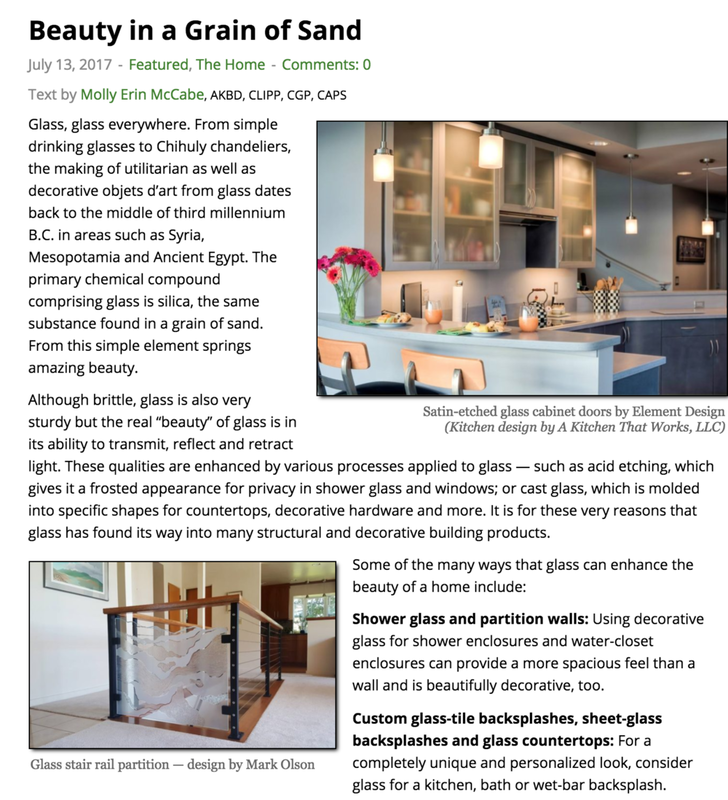 Kitchen and Bath Business interviewed Evolution Glass for a sustainable design feature for their September issue. The focus was on trends in sustainable and green building design. A feature about recycled glass surfaces of all varieties. Evolution Glass is spotlighted here for our decorative tabletops. A feature about Evolution Glass and how we're transforming recycled glass to make beautiful functional art. A feature on CBS 19 about Evolution Glass, how it all started, and the process we use to create these beautiful surfaces from 100% recycled glass sourced right here in Charlottesville, VA from McIntire Road Recycling Center. An interview by WNRN for the Hear Together podcast series. Evolution Glass is a part of the Community Investment Collaborative. Jaclyn Piermarini interviews Bill on his experiences working with the CIC to help build Evolution Glass. This article presents Evolution Glass. The community minded business that Bill has created to produce recycled glass countertops and tables using 100% locally sourced recycled bottle glass. Small Acts Count creator, Heather Phillips, attended the Greater Virginia Green Building Council where Bill spoke about his new company Evolution Glass and was intrigued by the product. She was excited to hear that Bill has a good use for recycled glass so that less ends up in the landfill. This is the 2nd of two articles on recycled glass in the UK Glass Association Glass Cone publication. In this article, Roger Ersser discusses the use of recycled glass by artists around the world. Bill is one of two US artists mentioned. There are many notable artists from around the world discussed in the article. Roger Ersser, a writer for The Glass Cone which is the publication of the UK Glass Association, completed a 2 part series on the uses of recycled glass in artisan workshops and art studios. In the 1st of the articles in this issue, he focusses on artisan workshops, and he makes mention of Bill's work on the construction of a greenhouse in Mongolia. There are several other studios and small enterprises mentioned. This is detailed article discussing the Mongolian Greenhouse in which Bill played a key role in providing expertise about using recycled glass. Bill worked with the company M-CAM, the University of Virginia, the Mongolian government, and members of Mongolian community to complete the project. This news feature presents the Mongolian Greenhouse project which was completed in 2011. Bill participated by facilitating the use of recycled glass while working with University of Virginia students in Mongolia. Bill's work is featured in this craft book which is a unique, clever and useful take on jewelry making as a hot new trend, merging eco-consciousness with a willingness to incorporate unusual materials. Bill designed one of the craft activities to make a fused glass jewelry pendant. The results are featured on the back cover of the book. Bill's work is featured in this full color coffee table type book in which forty artists take the raw material of recycled glass and transform it into an astonishingly creative medium for sculpture and design. This “green” book is packed with photos of original recycled glass craft and sculpture representing emerging and established artists from Swaziland to Australia to Canada and the United States, as well as photos of three public art sculptures that tell a story from design to construction to the final installation. This book also provides an overview of the technical issues in working with recycled glass and step-by-step instructions on creating four glass craft and sculpture projects. Also included is an overview of trend setting green companies who are using recycled glass in interior design and decorative and utilitarian products such as tiles, countertops, and drinking vessels. This is a great resource for interior designers, “green” or LEED professionals, homeowners, museums, galleries, art collectors, art educators, artists, and individuals seeking to start a “green” glass business. Nelson County Life Magazine (December, 2010) featured an article about work I did in Mongolia to recycle bottle glass to build greenhouse window panels. Bill collaborated with the University of Virginia and M-CAM, Inc (an innovation finance company based in Charlottesville) on this venture. Bill's work was featured in the 2010 C-ville Weekly Design Annual. He was 1 of 4 designers chosen who are involved with creating art from reclaimed materials. One of the Charlottesville TV stations features a glimpse into Bill's former studio at his home in Nelson County and presents his recycle philosophy relating to art and design. The Crozet Gazette published a very thoughtful article about my glassmaking and recycle philosophy back in 2009. Here's another C-ville feature showing Bill's innovative lamps and discussing his philosophy on usingrecycled glass for his design and art work. In 2008, Bill created sculptural bike racks which incorporated recycled glass as a public functional art project for the City of Charlottesville. These are short articles about the bike racks. 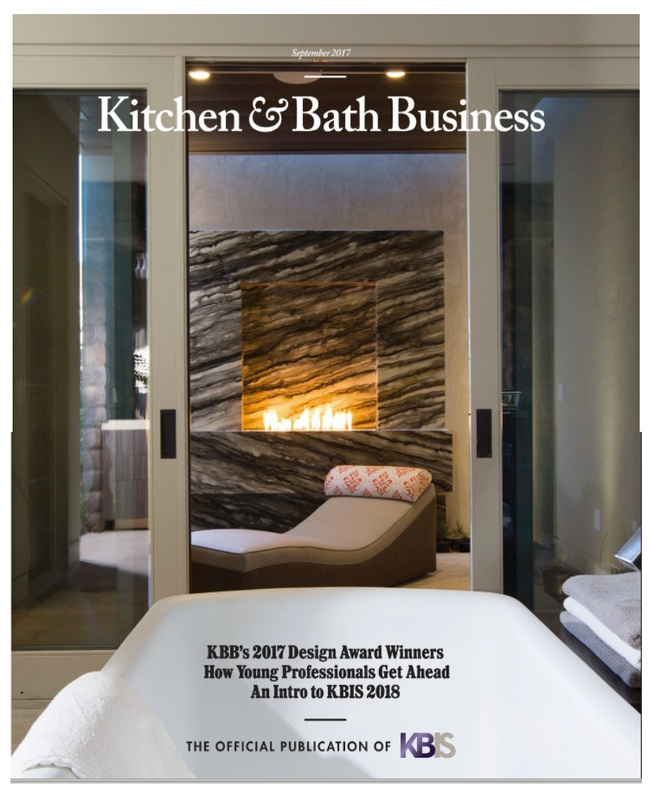 Another wonderfully positive write-up about Bill's work in a local home design magazine. Nelson County Life (now Blue Ridge Life) featured Bill's work as a cover story for their March, 2006 issue. The story provides a fun and interesting overview of my philosophy and discussion of earlier glass work. This article is one of earliest ones featuring Bill's work with recycled glass to make tiles. October 2016 Evolution Glass was named the 2016 Outstanding Small Business by the Virginia Recycling Association.